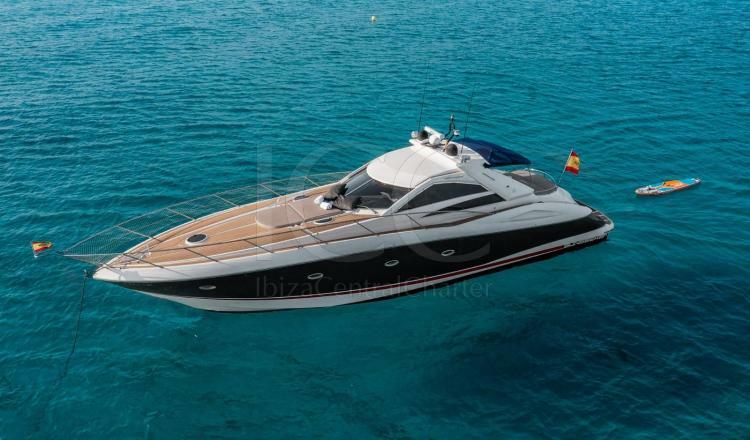 The Sunseeker Portofino has become a classic of the British firm since leaving the shipyard. 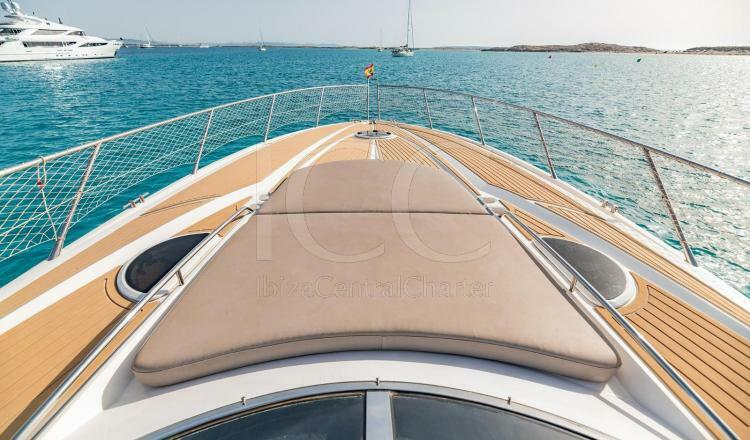 It is a sophisticated and exclusive boat with which to navigate across Ibiza and Formentera will make you feel the luckiest in the world. 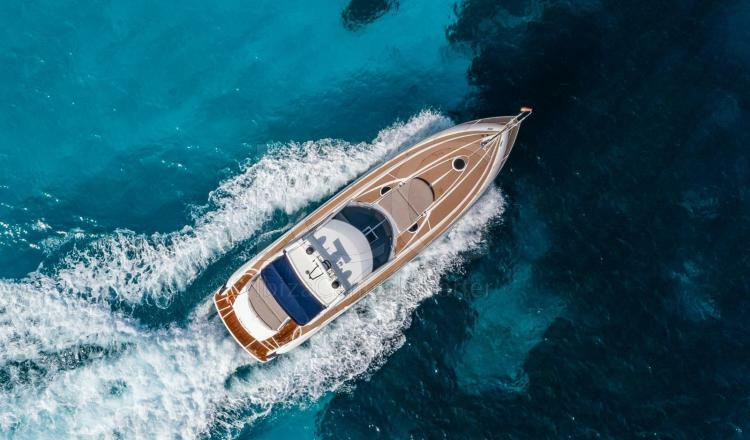 The Sunseeker Portofino has solarium in bow and stern to enjoy comfortably the Sun of the Mediterranean and a wide cockpit with available seats for 8 people, fridge, wet bar and stereo with smartphones and tablets connection guaranteeing a personal local conditioning. 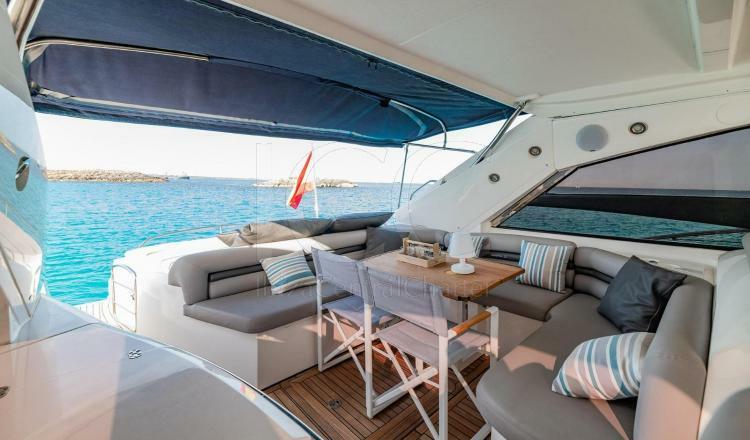 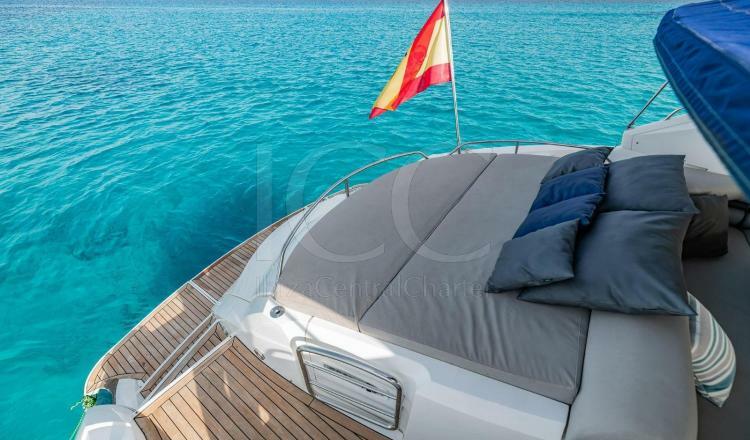 This large yacht has a main cabin equipped with a double bed, a single bed cabin and a third for the crew, which provides more privacy for your guests. 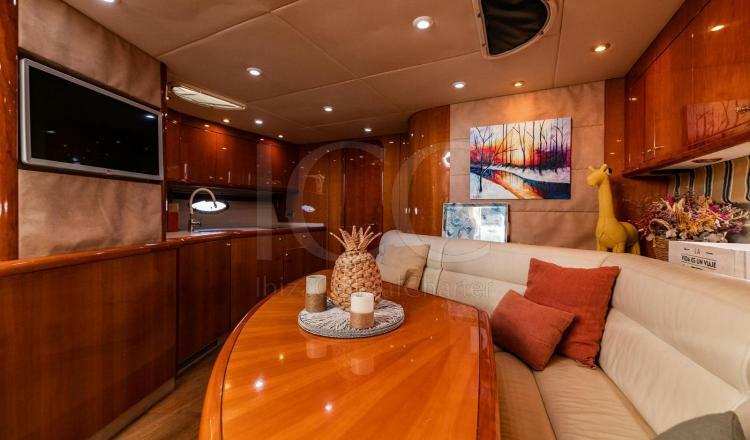 Accommodating 6 guests to spend the night. 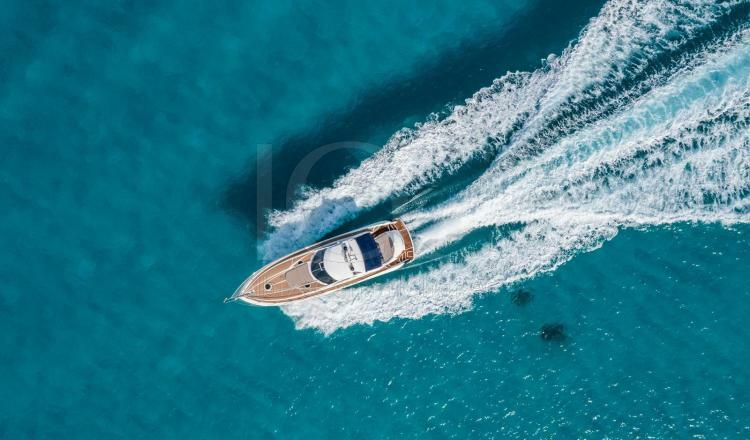 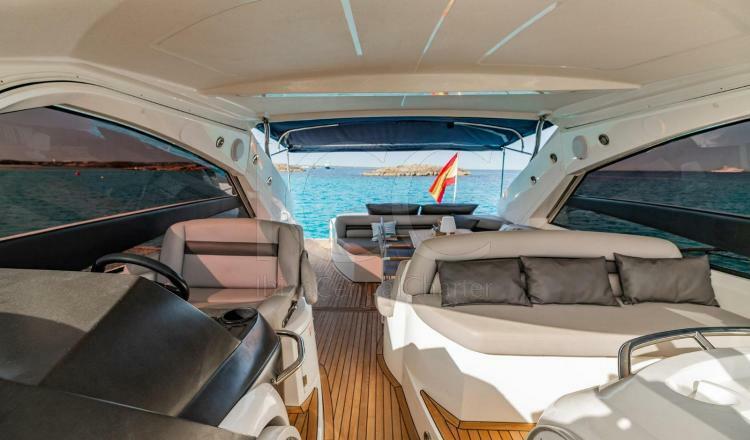 The Sunseeker is the answer for all those who want to discover Ibiza and Formentera nooks, there are a lot of places where the access is just possible by sea, this way will obtain the only and unforgettable experience.